Find clergy, religious, lay ministers and over 1,000 Catholic institutions in each of the state’s six dioceses, plus driving directions to most of the 720 churches in Minnesota. Online Edition – Visit MNCatholicDirectory.com for more information. 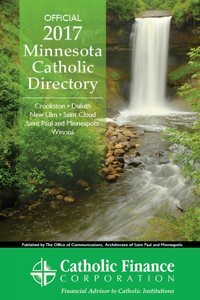 The Official 2017 Minnesota Catholic Directory is now available for order!